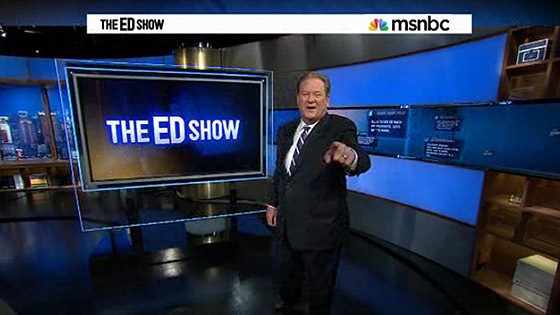 “The Ed Show” returned to weekdays on MSNBC Monday, this time originating from Studio 3K. 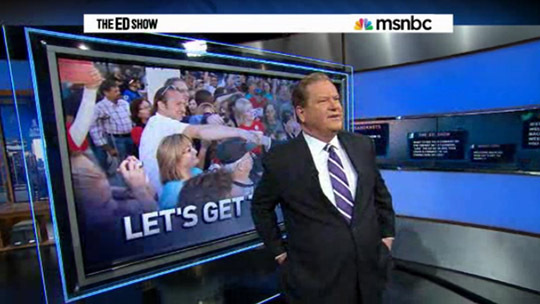 This is not Ed’s first studio move at MSNBC, previously broadcasting from the main MSNBC studio, a news nook and Studio 3K. 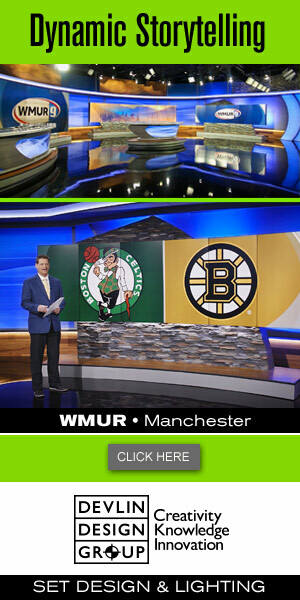 “Ed” previously used 3K this year, before switching to the main studio for the weekend version of his show. 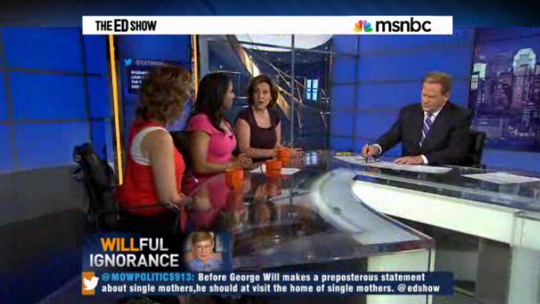 The latest version of the show uses social media heavily, integrating Tweets into the graphics and set. Tweets can now be seen floating on the tall monitor stack and around the set. “Ed” even features a segment on trending topics. 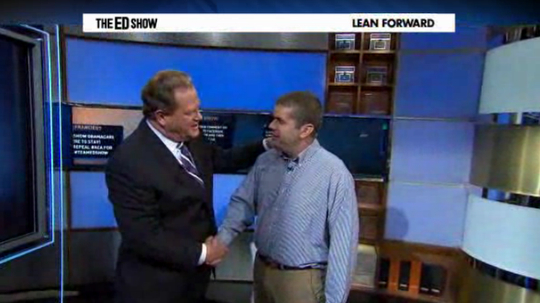 One awkward set usage was during the first segment, where Schultz interviewed a man in the standup area. This part of the set clearly wasn’t lit for this usage, as many shadows creeped up. We’ll see if this becomes a trend, or if it was just for the redebut.